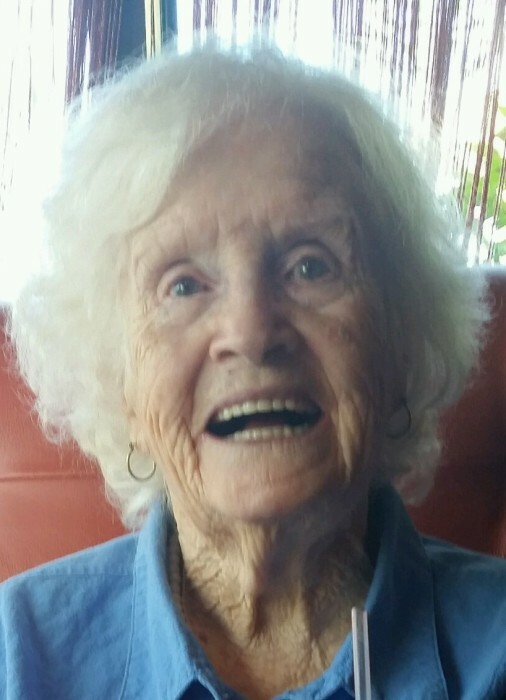 Elizabeth “Lib” Graham, 93, of Waynesboro, went to be with the Lord on Sunday, January 27, 2019 at Waynesboro Manor. She was born July 15, 1925 in Marlboro County, SC to the late John and Lula Mae Jackson. In addition to her parents she was preceded in death by her husband, Willie Woodrow Graham. She is survived by her children, Billy Marshall Graham of Waynesboro and his partner, Suzanne Baker, Floy Elizabeth Graham Willis of Florence, SC; grandchildren, Julie Graham Spradlin and her husband, Larry, Wendy Graham Fletcher and her husband, Mark and Andy Willis. ; great grandchildren, Kyle, Karley and Grace Ann Spradlin, Wayne and Zachary Fletcher. The family will receive friends from 6:00pm to 7:00pm on Wednesday, January 30, 2019 at Charlton and Groome Funeral Home, 619 Lifecore Drive, Fishersville, VA 22939 and where a funeral service will be held 7:00pm in the chapel conducted by Pastor Arden Harner. A funeral service will be held at Burroughs Funeral Home in Bennettsville, SC on Friday, February 1, 2019 at 2:00 pm, with burial at Sunset Memorial Park. A visitation will be held from 1-2 pm just prior to the service. In lieu of flowers memorial contributions may be made to Hospice of Shenandoah, PO Box 215, Fishersville, VA 22939 or Waynesboro Manor, 809 Hopeman Parkway, Waynesboro, VA 22980.